The Kyoto Municipal Museum of Art is now holding Jakuchu Revealed, the final exhibition of 2016, which is dedicated to the life and paintings of Ito Jakuchu. Over one hundred paintings, mostly sourced from private collections, are on display. The exhibition is akin to a comprehensive survey of his ink works, encouraging viewers to compare and contrast his modeling of various subjects. In fact, the exhibition forces viewers to focus on the similarities between the works, which can become tedious. The second display room has thirteen ink paintings of chickens presented on one wall. Eleven paintings of carp soon follow, along with six cranes and four radishes. It is difficult to avoid counting them. This presentation style continues for all the works. It is highly recommended for established Jakuchu fans. However, others may be underwhelmed. The exhibition is an excellent opportunity to become acquainted with Jakuchu’s distinctive ink brush technique, as it bursts with whimsically brushed birds and animals. Animated monkeys, elephants, puppies, and chickens abound. 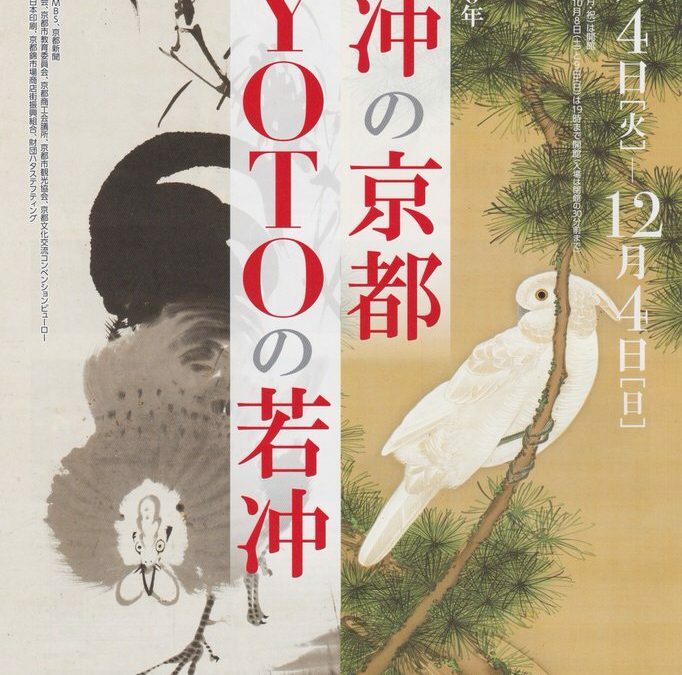 The works in color are notable and there are a few well-known paintings on display: the stylish white cockatoo from Jakuchu’s earlier period, which is featured on the flyer, an even earlier painting named Rooster in Snow from the Hosomi Museum, and the sublime Flowering Plants, and Rooster and Hen. Other notable works displayed are #85, Pine Tree, Plum Blossoms, and Cranes, a rare example of Jakuchu painting with color on paper and #94, Turtles at Lotus Pond, which is a newly-discovered color on silk work. During the exhibition’s final two weeks (Nov. 22 to Dec. 04), Jakuchu’s mosaic screens from the Shizuoka Prefectural Museum of Art, Trees, Flowers, Birds and Animals, will be on display. Viewing of the screens is uncommon and is well worth waiting for.